On New Years Day the Oklahoma State Cowboys and Ole Miss Rebels will face off against one another in the Allstate Sugar Bowl. No. 16 Oklahoma State (10-2) and No. 12 Ole Miss (9-3) will each seek to end their season with a bowl victory in this one. ESPN has coverage of this game starting at 8:30 pm ET from the Mercedes Benz Superdome. The Odds: Ole Miss is a 7 point favorite against Oklahoma State. The over/under for this game is 68.5 total points. 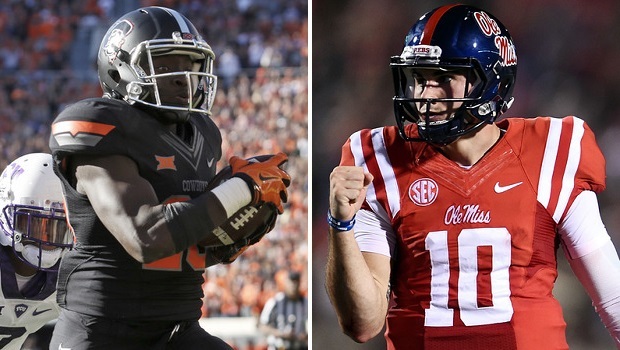 Will Ole Miss or Oklahoma State find victory in this one come New Years Day?